The Abal Auction Real Estate group is expanding its auction program into the Orlando real estate market. Already a premium player in the Tallahassee/Panhandle real estate market, the auction company has signed to auction a premium Winter Park, Florida home for a 38 year veteran of service with the U.S. Department of Treasury and Homeland Security. Mr. Davis who began his career in Miami after military service was transferred to the Orlando area during the 90's. 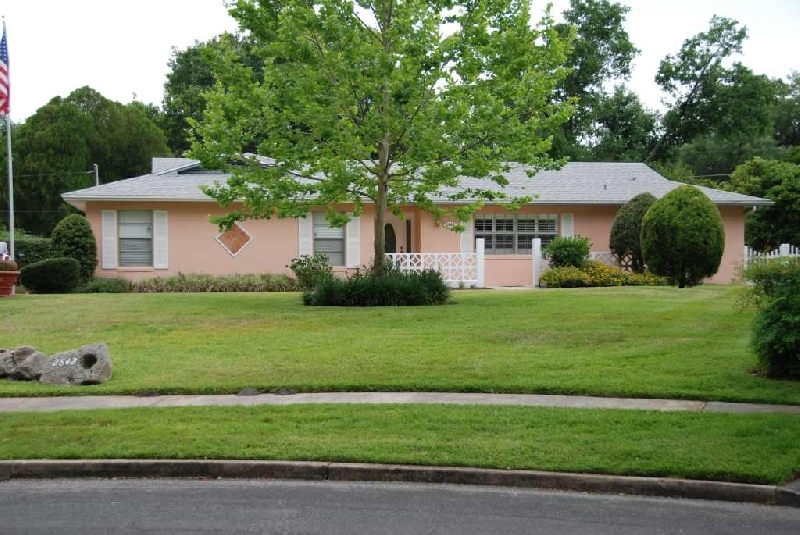 He settled in Winter Park and eventually purchased the 4 bedroom 3 bath home with pool in the Winter Park Pines area. Tallahassee business and government friends made him aware of the innovative work being done on the Internet for buying and selling at auction so he made an inquiry of Dr. Joe Abal and the crew of professional auctioneers and real estate brokers at Abal Auction Real Estate. Dr. Joe Abal indicated "Mr. Davis makes a great client". He has done his time and wishes to relocate to the North Florida area and didn't want to spend a lot of time with his house on the market waiting for it to sell. Mr. Davis was quoted, "the auction method of marketing gives me an opportunity to be actively marketing my home and property given today's difficult market." The auctioneers at Abal Auction developed a comprehensive marketing plan that was extremely aggressive and comprehensive in reaching buyers. Their use of the bidding platform at http://www.abalauction.com makes aggressive use of the best features of a 29 day Internet auction followed by a live webcast auction at http://www.proxibid.com. "This combination assures that I will receive maximum saturation of my marketing dollars in reaching bidders," said Mr. Davis. Auctioneer Abal indicated "Mr. Davis makes for a motivated seller. He has a home in which he has built equity and at the same time agreed to a comprehensive marketing plan which gives his property exposure locally, nationally and internationally." "The auction method allows us to bring great transparency and openness to the auction event." Betty Evans, auctioneer with Abal Auction oversaw the development of a complete Property Information Package (PIP) which was then merged into the website. The package allows bidders to conduct their due diligence and homework on the property right on the Abal Auction webpage. The live webcast allows merging the high Internet bid into the starting bid at the live webcast. This gives all bidders the same playing field to raise their bids online or simply come to the live auction to protect their bid. "Our bidding platform works equally well for real estate or personal property," said Abal. "Recently we had a gun and coin auction and drew bidders from the west and that included Hawaii." I believe with our marketing plan on the Winter Park real estate auction should reach the international buyer. We have designed within our marketing plan an international component trying to reach out to those investor/buyers that want to spend time in Orlando. The draw for this auction property is its great location for the combination of business and family. Its location to downtown Winter Park makes it ideal for shoppers and diners. It is easily accessible to great schools, shopping and transportation links. For the family, it is within walking / biking distance of the Cady Way Trail. As with all our auctions, the online component of our web page at abalauction.com allows prospective bidders a look at all the documents associated with this sale. There is a link button for photos and videos. The online auction begins June 24, 2008 with registration and bidding. The live webcast auction takes place at the 2842 Sandwell Drive, Winter Park, Florida location on July 8, 2008 at 11:00 A.M. with the live webcast portion of the auction.